Author TheoryPosted on April 11, 2019 April 11, 2019 Leave a comment on Grab This! This week, Sense & Theory look at two bills in congress that aim to address corruption in government. Do either H.R. 1 or Sen. Warren’s Anti Corruption Bill have “the goods”? Tune in to find out! Where The Bleep Are They? 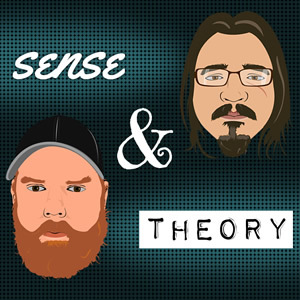 Sense & Theory take a break from politics and reach for the stars! With the help of a close friend the fellas dive headlong into Fermi’s Paradox and attempt to answer a question that’s gnawed at man for quite some time: Is there anybody out there? Author TheoryPosted on February 28, 2019 March 28, 2019 Leave a comment on Where The Bleep Are They? Author TheoryPosted on December 24, 2018 March 28, 2019 Leave a comment on Too Cool For Yule?